Cruise Ship TV Show in the Works? Is a new version of “The Love Boat” headed for TV screens? 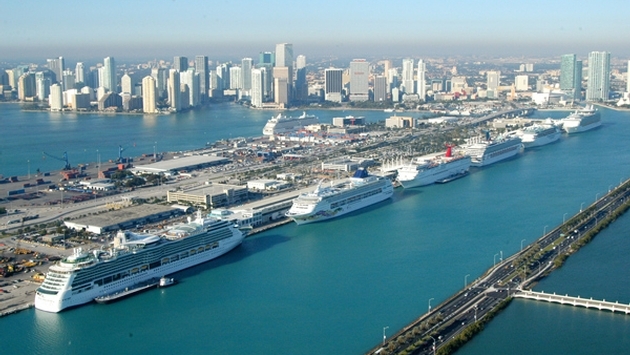 Entertainment industry publication The Hollywood Reporter posted an exclusive that says two veteran TV showrunners are preparing a show called “Port of Miami” that will center on a cruise ship bartender. If the program does make its way to the small screen, the cruise industry will most likely embrace it. After all, “The Love Boat,” which aired 1977-87, is credited with helping launch the modern cruise industry by showing Middle America what it was like to take a seagoing vacation. The original cast is beloved today and just christened Princess Cruises’ newest ship, Regal Princess, in Fort Lauderdale on Nov. 5. So popular was the show that a reincarnation of “The Love Boat” was launched with high hopes in 1998 — with Robert Urich as the captain of the Sun Princess — but only aired 25 episodes and was gone after its second season. Then there was “Love for Sail,” a reality dating show set aboard Norwegian Cruise Line ships in 2012 on Lifetime. It also didn’t last long. So if the new program shows cruising in a positive light, the industry will champion it. They might not if the womanizing bartender engages in unsavory behavior. Then again, the viewing public seems to like TV cads. See: Charlie Sheen.